Marc H. Schneider is a co-founder of the law firm Waldron & Schneider. Born in Texas City, Texas, Mr. Schneider graduated from Texas A&M University with a B.S. in Political Science in 1982 and from the University of Houston with his J.D. degree in 1986. Mr. Schneider is licensed to practice in the State of Texas, including federal jurisdictions encompassing the Southern, Western and Eastern Districts of Texas, and in the Fifth Circuit Court of Appeals. He has also attained an AV rating, the highest possible, with Martindale Hubbell. 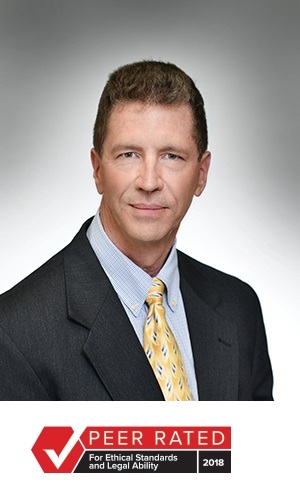 Mr. Schneider began his career representing plaintiffs and defendants in business and commercial law issues in State and Federal court, including spending many years representing chapter 7 bankruptcy Trustees in Federal Court pursuing the turnover of assets. Some of the matters pursued in court included collection of accounts receivable, return of fraudulent conveyances, breach of fiduciary duty, breach of contract, and various causes of action under state and Federal law. As Waldron & Schneider began to grow and assist more clients with legal services to open new businesses, expand existing business, or form structures to protect assets, Mr. Schneider’s practice has focused more on assisting clients with their business structure, asset protection, and estate planning. Consequently, Mr. Schneider has extensive experience in business law with more than 260 business clients representing over 600 business entities. Mr. Schneider’s areas of practice include the formation of new business entities, including Family Limited Partnerships (FLPs), Limited Liability Companies, S-Corporations, C-Corporations, and joint ventures, drafting contracts, buy/sell or shareholder agreements, lease agreements, employment agreements, asset purchase agreements, and stock purchase agreements as well as numerous other documents associated with the operation of a business. Mr. Schneider’s practice also includes assisting clients with protecting assets they have earned and acquired including the formation of Family Limited Partnerships, trusts, and wills, as well as other business succession planning and implementation. Additionally Mr. Schneider serves or has served as a Trustee for private trusts, an Executor in probate estates, State Court Receiver, and Chapter 11 Bankruptcy Trustee. Mr. Schneider’s clients are active in all facets of the business industry including banking, health care, oil and gas, telecommunications, manufacturing, retail, residential real estate, commercial real estate, engineering, collections, business acquisition and financial planning. Mr. Schneider is active in the community including being a member and past Director of Space Center Rotary Club and the Clear Lake Chamber of Commerce as well as being involved in numerous other local organizations in various capacities over the years.